HomefurnitureHow To Furnish Newly Built Small Apartment To Rent Out? Many buildings that are built for commercial use are decorated using many designs and materials. Using mirror and glass furniture is a trendy and stylish way to upgrade the value of a house without making it look boring and overly decorated. When in need of renting out a small apartment, there is the space factor that should be considered when introducing furniture or any other accessories that are required to upgrade the look of the interior décor. However, due to the advancement of technology in the 21st century, it is easy to come up with suitable layout designs that can suit small apartments without causing congestion. When using glass materials to create an elegantly looking and flashy interior, you should consider their quality and durability. Since you will be renting the apartment out to many people in the future, you should consider using only high-quality materials for your home. High-quality furnishings might have high initial costs but are worth the value. They are long lasting and will save you a lot of money that you could use for replacement or repair. This article gives tips on how you can decorate a small apartment to rent out. Small apartments do not have a lot of space to water with furniture items. When buying furniture, the most economical on space should be bought for small apartments. 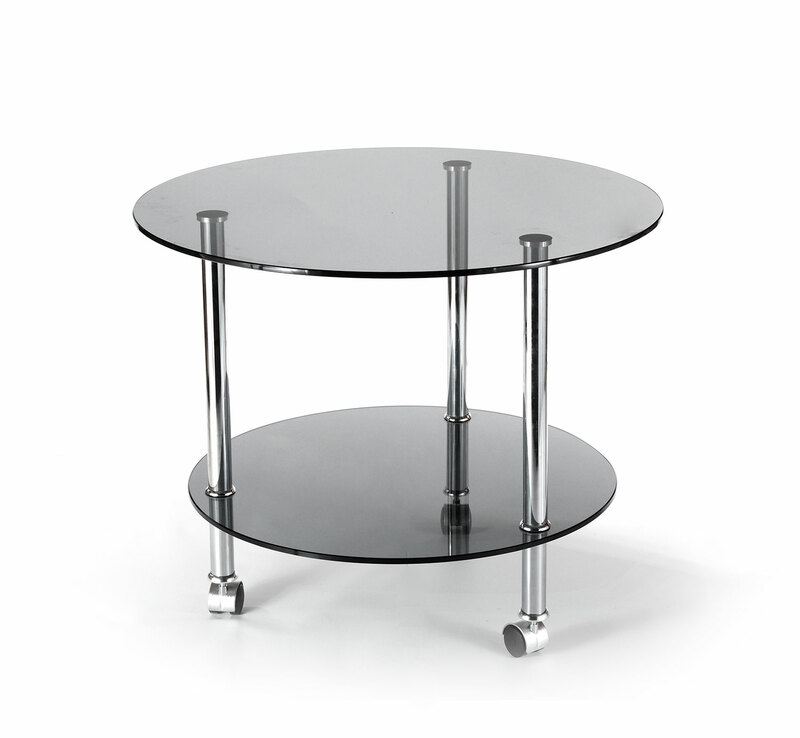 The rounded glass tables design is known to be useful in saving on space instead of the traditional rectangular and square shaped designs. Due to the lack of sharp edges on the rounded glass design, you find it useful to use in areas that you need to save on space. Mostly, when you need to place the coffee table as a centerpiece in the living room, you need to ensure that it has a unique and attractive design. This is one of the many approaches that property owners use to introduce furniture that is classy and trendy. A dining glass tableis essential in modern society settings. They are used for family dinners among other meals. Even though a small apartment does not have a lot of space for many furniture items, having a dining table with patterned glass can help to increase the value of the space. The patterns on the glass could be colored or left clear depending on how the property owner wants the theme of the house to be. When in need of having a colorful interior, introducing color to the patterned glass can do the magic for the décor. Also, the design shape of the dining table should be considered so that it can fit perfectly into the small space in the apartment. Foldable shower doors are popular glass decorations for interior décor in the modern era. They are easily installed and can offer convenience for small apartments. 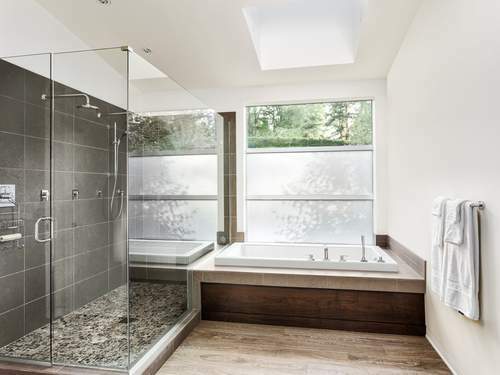 You do not need to struggle with a hinged glass shower enclosures when you have limited bathroom space. With the foldable glass shower door, you can have a well-decorated interior that helps you keep the space clean. With the foldable glass shower door, you should ensure that you install them correctly to open in the right direction. This means that if you are to introduce a modern shower enclosure, you have to select a foldable door that is perfect for space. This will also contribute to a raised value for the apartment to be rented out. Some walls in the apartment may be highlighted to add warmth in the space. Using a back painted glass to feature an entire wall can be a great idea for interior décor. You can install the back painted glass running from the floor to ceiling level. This can then be installed with hooks placed strategically on the glass. The hooks can be useful for the users renting the space since they can put any form of media that is attractive to the eye. The back painted glass sued for a featured wall should be brightly colored. This is a technique that helps to keep the room bright and with a positive mood. Additional lighting can be added to the back painted glass to make it brighter and more welcoming. Glass wall cabinets are ideal accessories to use for interior décor in small apartments. They are useful in providing storage spaces in the kitchen or other rooms. When installing glass display cabinets, you should always ensure you choose the trendiest and stylish designs. They help create a flashy and elegant look for the interior décor. For any property owner in need of introducing glass cabinets in their small apartments, they should try products from fab glass and mirror, and they will not be disappointed.